“What do you think is the key to long-term success?” is the question I’m most frequently asked when I’m speaking about how to creating lasting business success. There are, of course, many things in the mind of the owner. What I’m referring to are the over-arching ideas that owners keep in the forefront of their minds as they make decisions about all the normal issues of daily company leadership. I call these select few ideas the owner mindset. I think of owner mindset as leveraging the power of focus. Whether an owner is aspiring to $1 million or $20 million, he or she has to keep a few clear ideas –the owner mindset–at the center of their thinking at all times. During the 20 years since founding Trivers Consulting Group and advising hundreds of owners, I have seen that three over-arching ideas contribute the most to long-term success. I recommend them to you as well. “Never thinking it over” means making ‘yes; or ‘no’ decisions as quickly as possible. You might want some time to examine an idea, proposal or recommendation. That’s fine and necessary. Block off an hour or two within the week to do this analysis and review, and then decide. “Making time to do the right things” means choosing the time, not waiting until you happen to have some time. When do you ever just have some time? The most successful long term businesses happen when the owner spends the majority of their time looking ahead, instead of being immersed in what is happening today. What are the right things? I say, looking at every decision through the lens of investment, not price; and outcome, not inputs. Then you will be focused on the right things. II. Always keep your buyers at the top of your mind. In other words, it’s not media, marketing or money that occupies the top of your mind. Remember that your long-term success is generated by buyers spending money with your company over time. III. Be a willing risk-taker. Owners who create businesses that last recognize that risk is part of the deal. Owners seek opportunities for growth and expansion and that entails risk. I think it’s more risky to try to maintain the status quo no matter what. Sears is the latest example. Articulate a new opportunity; maybe it’s a new product or service, or an improvement or innovation to an existing one. Design a short-term experiment to test the potential of the new idea. Gather data. Analyze. Decide to implement or not. Tinker with those you implement to maximize results over time. 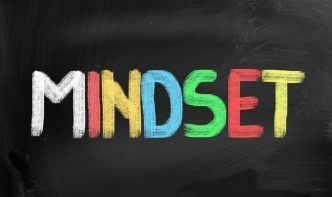 You’ll notice that the three ideas that comprise the owner’s mindset cover all aspects of a business, and provide for growth and expansion. Long-lasting success is the result of making time to follow new paths and be devoted to an extreme focus on current buyers.